PESTUK provide pest control contracts for schools in Berkshire, Surrey, Oxfordshire and . PESTUK contracts for schools ensure that your school is covered from specific pests and problems they can bring to the children, staff, premises and to the reputation of the school itself. When it comes to pest control, just before the end of the summer holidays is the busiest time for schools. This is due to the schools having been relatively unused for a long period. It is also the wasp season here in the UK. 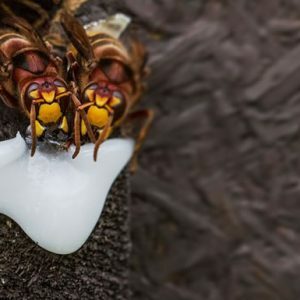 In the Autumn wasp nests are at their most troublesome and dangerous state so quick treatment is essential, PESTUK provide this service rapidly. Why have a pest control contract? Most schools have contracts so that issues are dealt with before they can get out of control. This is important for schools as their reputation and safe guarding the children are very important. PESTUK offer pest control contracts for schools that cover the basic public health pests which are rats, mice and monitoring for cockroaches. At PESTUK we will give a 20% discount for any pests which are not covered on the contracts (these are the cheapest and probably the most cost effective pest control contracts for schools). To make budgeting easy we also have contracts which can cover the school against all pests throughout the year. PESTUK is a full member of the BPCA. BPCA stands for British Pest Control Association, the governing body for professional pest control companies here in the UK. Membership is earned and companies must show that they meet the criteria and follow the codes of best practise. Our technicians are fully insured, BASIS Prompt registered and are CRB checked. This means our technicians are fully qualified and checked before they attend a school. Call us on 0330 100 2811 to book an appointment regarding PESTUK contracts for schools or any other pest problem you may have.